Now that the last of the holidays are over, things seem to be slowing down and are beginning to feel a tad bit normal again. I still haven't taken down my Christmas decorations yet, but that will come this weekend. To be honest, I'm a bit sad. I love Christmastime and wish it could have lasted just a tad bit longer. However, I cannot complain as I've had a wonderful holiday season jam-packed with almost everything that I wanted to enjoy this season. If you follow me on Instagram, then you would have seen this hideous creation right after I glued on the very last sequin and was finished pinning on these battery-operated lights. Did I win the contest? 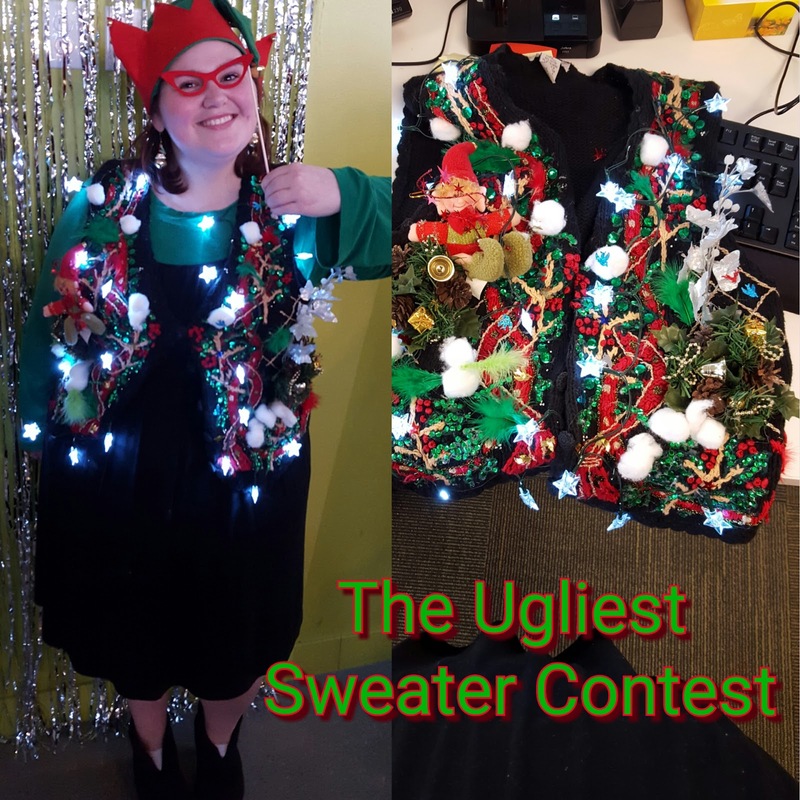 No, apparently someone else had an uglier sweater, but at least I can't say that I didn't try! My mom came down twice in December to spend time with me. 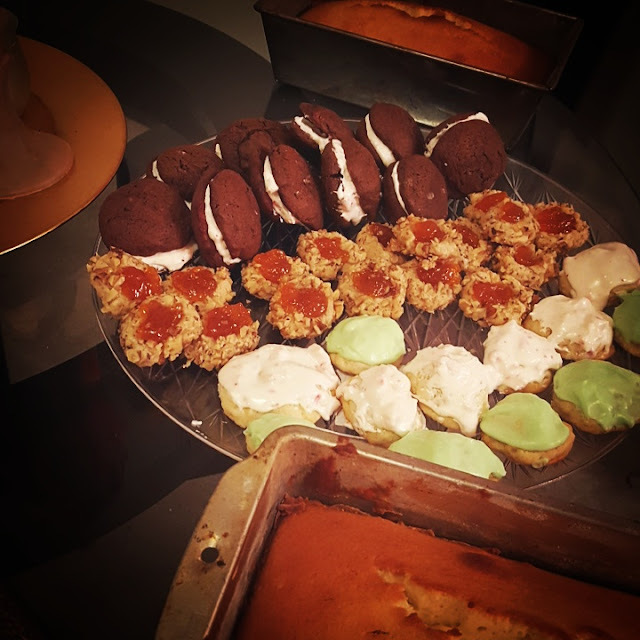 The first time, she and I baked up a storm - between the eggnog bread, sugar cookies, chocolate crinkles, thumbprints, and whoopie pies, I'm surely surprised that we even had time to watch Christmas movies or go to my holiday party at work! During the first weekend she came down, I had her marked as my +1 at my company holiday party. Here is the fancy tulle dress I wore, and us at the party in our fancy makeup. 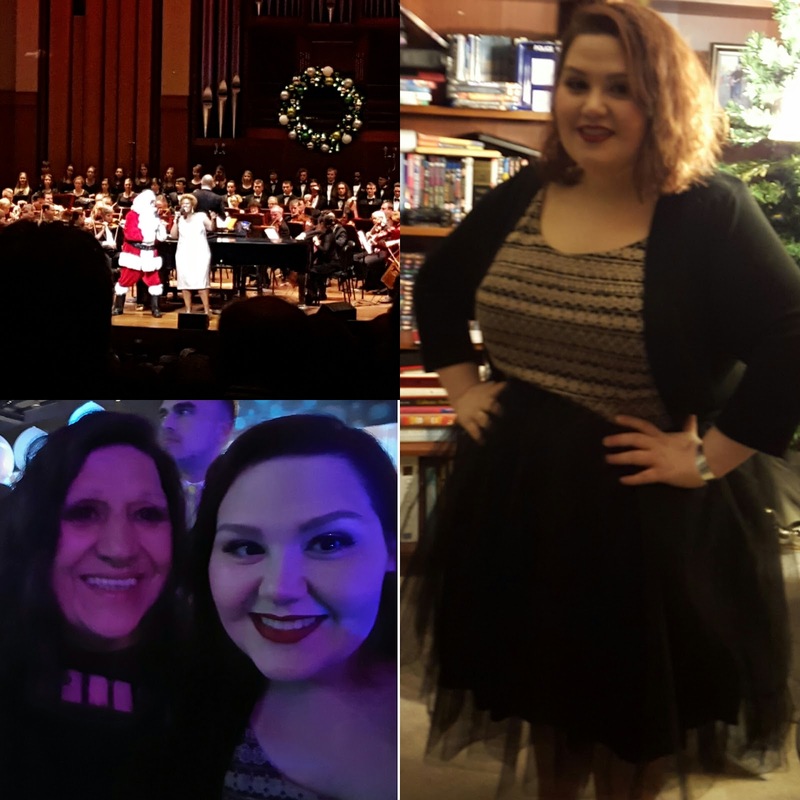 The following day, we enjoyed the Holiday Pops concert at the Seattle Symphony, where we eventually bumped into my boss. 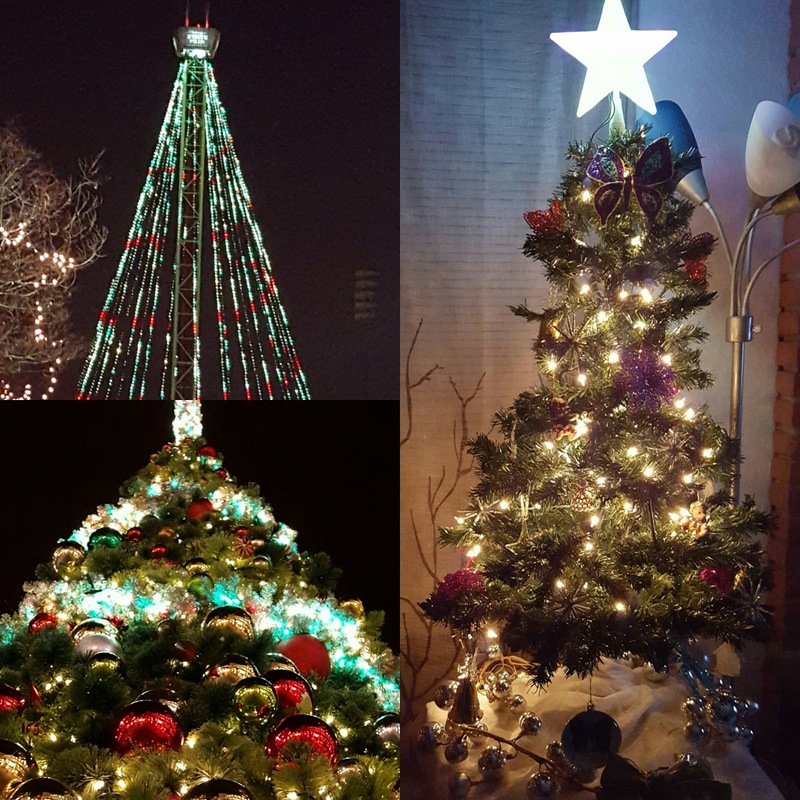 Finally, it wouldn't be Christmas without the beautifully decorated trees! The top-left was at the Puyallup Fairgrounds - where I had attended the Victorian Christmas Festival. The bottom-left is the beautiful tree that beams brightly at Westlake Center in Downtown Seattle. Finally, on the right, my own little Christmas tree, lit with white lights and sparkly butterfly and flower decorations. Only 355 days left until Christmas 2016! ;-) Until then, I am going to enjoy every last minute leading up to it - including all the days of January left unexplored. I'm wishing you all the best this year and hope that you have the best and most joyous year yet.